Kirk’s Place offers an ability-centered memory support program designed for those with Alzheimer’s disease and other forms of memory loss. Kirk’s Place provides a reassuring, flexible, and safe environment while promoting individual worth through meaningful programming and interaction. Our highly-trained team of professionals provide specialized care and attention to residents 24 hours a day. Our program includes proven memory-enhancing therapies such as relaxation, music and exercise in a quietly stimulating, home-like setting. Our caring team also encourages family and friends to share in the day-to-day experiences of their loved ones. Like all residents of Wesley Willows, our Memory Care residents have our promise to meet any of their health needs, should they change. 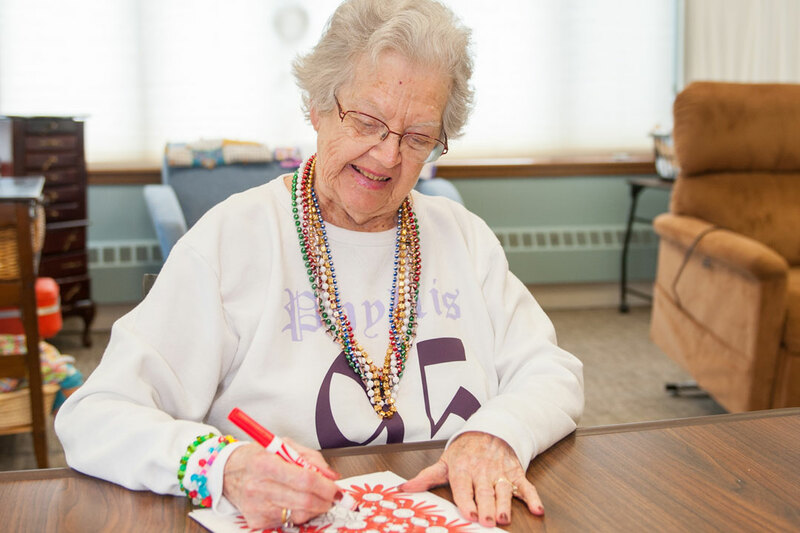 The Montessori method is being used to successfully engage Alzheimer’s disease patients, and is the heart of our programming at Wesley Willows. There is evidence that the Montessori approach can reduce anxiety for people with dementia by providing them with engaging activities that they find rewarding. Music and Memories is an innovative approach to dementia care and is an example of the person-centered care that Wesley Willows embraces. Personalized playlists enable those struggling with dementia to reconnect with the world through memories triggered by the music they love. Wesley Willows offers a Virutal Dementia Tour for staff and family members. This tour provides a glimpse of day-to-day struggles of living with dementia. This tour is a game changer in helping staff understand what person-centered care entails. At Wesley Willows, our team of experts have helped thousands of families find the right Senior Living community. View our Decision Guide to learn what you need to know as you consider this next phase of life.